Many dental patients are looking into their full mouth reconstruction options these days. While the name seems to imply that the entire mouth is in need of rehabilitation, the term tends to refer to someone who is in need of multiple restorative procedures. The overall goal is to make it so that the patient has a healthy mouth as well as a smile that they can be proud to show. 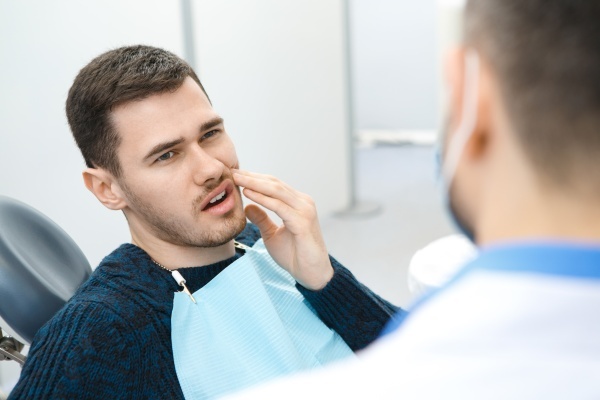 If you feel that you are overdue for a dentist appointment and for that reason might be in need of some reconstructive dental services, making a consultation appointment with a reconstruction professional as soon as possible is highly recommended. Ready to take charge of your oral health? Your first step is calling a professional dentist who can perform a thorough examination of your mouth. What exactly is a full mouth reconstruction? People who are in need of multiple dental rehabilitation procedures are going to fall under the umbrella of someone who is in need of a full mouth reconstruction. There are multiple options when it comes to getting one's oral health back on track these days. The available procedures make it easier than ever for anyone to have any necessary procedure in just a few dental visits. In fact, some procedures only require a dental patient to visit one time, which can is known as same-day dentist appointments. Of course, the overall length of time for fixing one's dental issues will depend on the necessary dental work. The process The process starts with a consultation with a professional dentist. This first appointment will involve the dentist performing a thorough examination in order to determine what exactly needs to be done. The dentist will then discuss this with the patient, offering them choices when it comes to choosing the best reconstructive option. The following are some questions all dental patients should think about before going to the initial consultation appointment. Do I experience any difficulty when eating? Are my teeth really sensitive? What changes would I like to make to my smile? Ready to improve your oral health? If you are ready to start your journey to excellent oral health, we invite you to call us now to make a consultation appointment. This first appointment is the first step you need to take when you are wanting more information about how a professional dentist can fix any and all oral issues you are currently experiencing. Know that when you come in for a professional consultation to improve your oral health, you are also going to get a brand new smile, which is quite exciting. Call Clarisse Atakhanian DDS Inc. at (818) 483-9071 now with any questions you may have regarding full mouth reconstructions. We are here for you.